A bad news for Derrick Rose Fans. Rose is not coming soon. He said he's not coming back until he's 110%. He said he's 'far away' from return to the court. 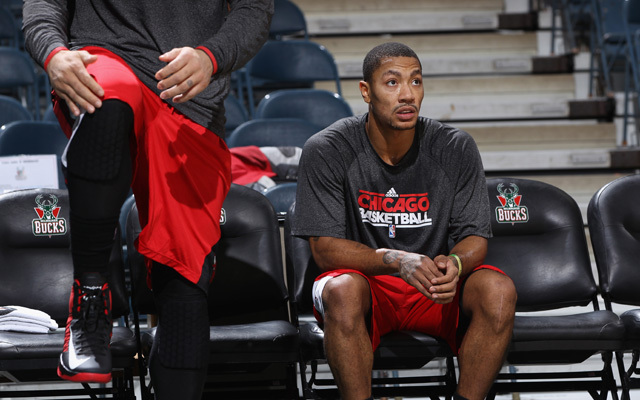 "I don't have a set date," Rose said on Monday in his first extensive interview since the 2012-13 NBA season began. "I'm not coming back until I'm 110%. Who knows when that can be? It can be within a couple of weeks. It could be next year. It could be any day. It could be any time. It's just that I'm not coming back until I'm ready." How close is Rose to 110%? "Right now, probably in the high 80s," he said. "Far away. Far away." The ambiguity is by design but not with duplicity intended. The Bulls have no reason to target a date. Rose, the humble star, is the face of the franchise and worth the patience. "Every injury's different. People want to pigeonhole exactly when he returns, and I understand that," Bulls general manager Gar Forman said. "Everybody would like to know. We would like to know the exact date. "But what we really tried to do was stay true to the process and not skip steps as he went along his rehabilitation. … We wanted to make sure we did what was right for Derrick." Tweet #DRoseReturn wishing he comes soon..